It is not the purpose here to trace the history of the revolutionary movement in India. Up to 1914 there were scattered secret organizations, mostly in the province of Bengal, but some outside it also. On the outbreak of the World War, the various organizations saw an opportunity to raise the standard of rebellion throughout India. With this purpose, such eminent revolutionaries as Rash Bihari Bose, Jatin Mukherjee, Sachin Sanyal, V. G. Pingley, Sardar Kartar Singh, Thakur Prithwi Singh, Baba Sohan Singh and others joined together and made elaborate plans in conjunction with some Sikh and Rajput regiments to bring about an armed revolution in India. But as destiny ordained it, the whole plan tailed through inner treachery, except a formidable rising at Singapore which was subdued by means of Japanese warships and Japanese mariners. As soon as the authorities got scent of the plan of the revolutionaries, the regiments suspected of complicity in the contemplated risings were disarmed and disbanded, and armed European pickets were posted around them. These soldiers were then sent over to the severest fighting zones in France. The Defense of India Act was at once proclaimed, and more than 7000 persons were arrested in the Punjab, U. P. and Bengal. By 1916, the revolutionary organizations were scorched, though not actually killed. By this time another influence had appeared in the field of Indian politics in the person of M K Gandhi. His idealism and his sacrifice appealed greatly,to the minds of the youths, many of whom began to join in his non-cooperation movement. But the “Bardoli Retreat,” .as it was termed by the revolutionaries, and the subsequent set-back in the non-cooperation movement again gave impetus to the revolutionary movement. By 1924 we again see the springing up of secret revolutionary organizations. In Bengal, as usual, the old revolutionaries began to organize again, but a heavy blow was dealt to them by the Bengal Ordinance of 1925. In U. P. and the Punjab, the different parties organized by Sachindra Nath Sanyal, Jogesh Chandra Chatterjee, Pandit Ram Prasad Bismil etc., combined and formed one party. At a meeting at Allahabad, a constitution was adopted and the name of the party became “Hindusthan Republican Association.” It was this organization that Bhagat Singh joined when he shifted to Cawnpore. 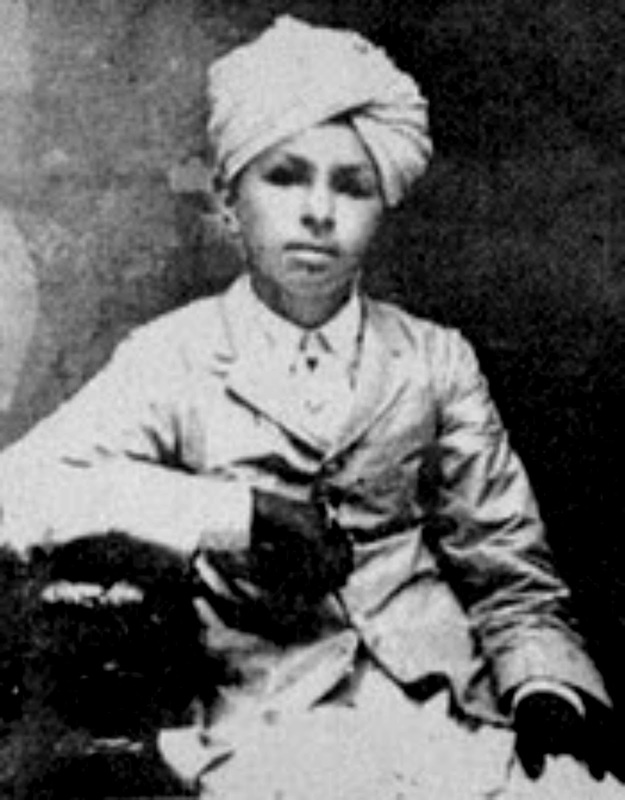 His party name then became “Balwant,” under which name he used to contribute articles occasionally to the magazines .Cawnpore was then the headquarters of Jogesh Chandra Chatterjee, or Mr. Roy as his party-name was, was the Chief Organizer of the party and it was under Jogesh Chatterjee that Bhagat Singh began to work. In 1926 (August 1925 is the date) occurred the well-known Kakori train dacoity, in which the members of the H. R. A. held up a running train at Kakori near Lucknow, and looted the government cash that was being carried in that train. Vigorous police investigations into this affair led to ramifications of a wide-spread revolutionary organization, and the subsequent Kakori Conspiracy Case revealed many of their secrets. It was at this time that Bhagat Singh went back to Lahore.